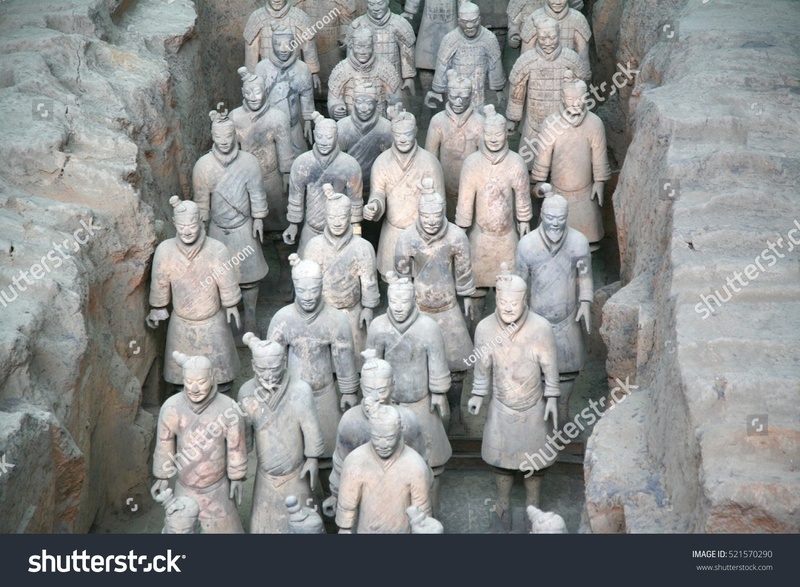 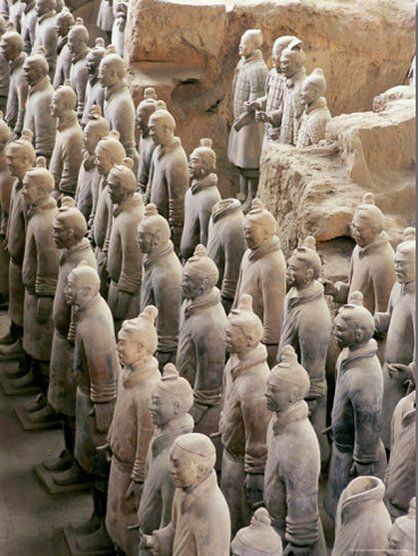 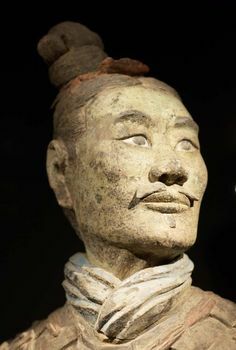 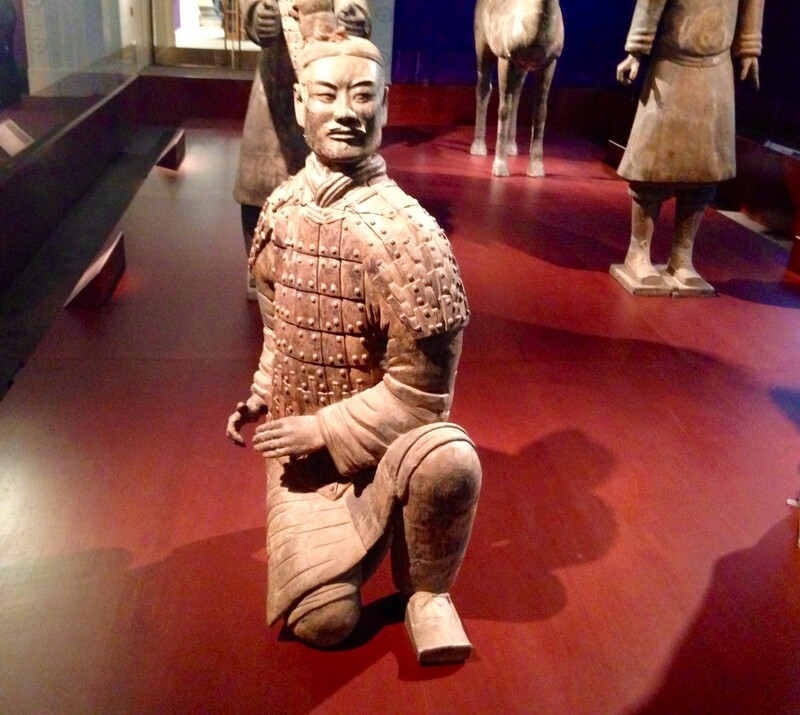 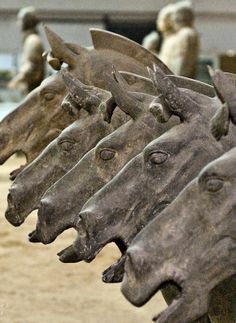 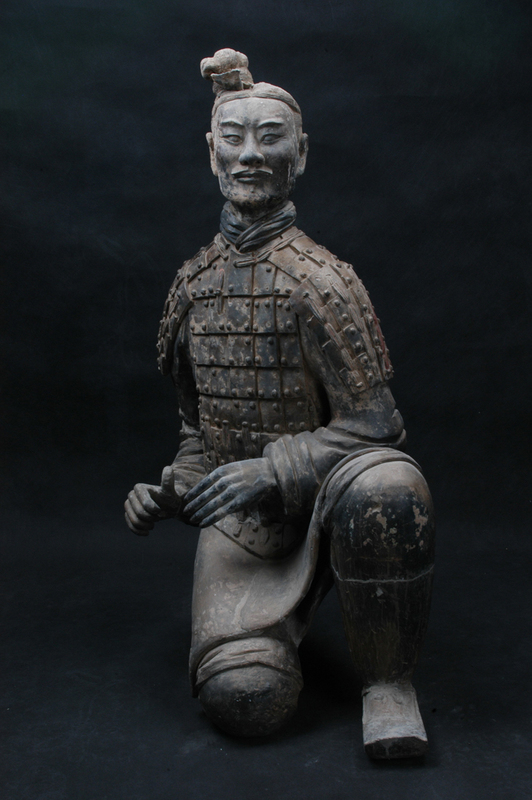 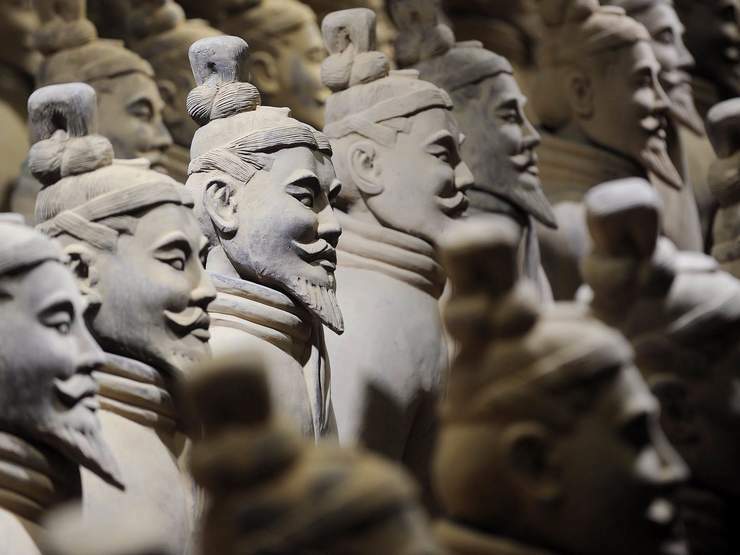 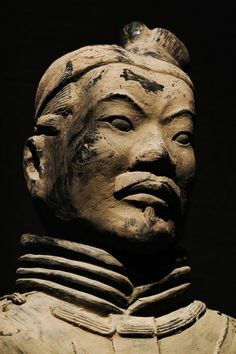 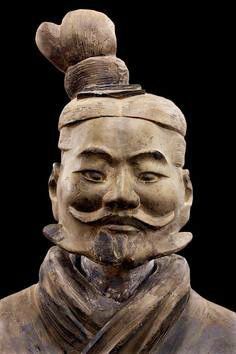 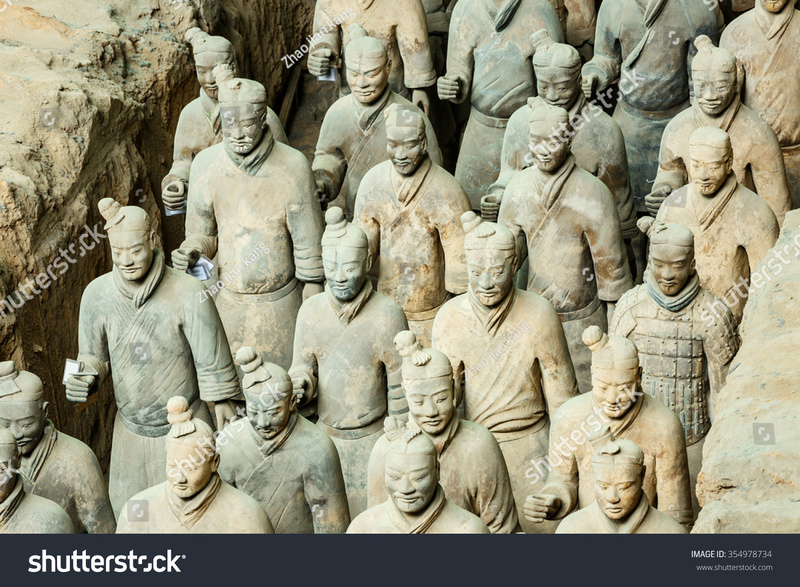 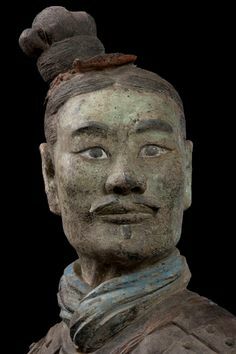 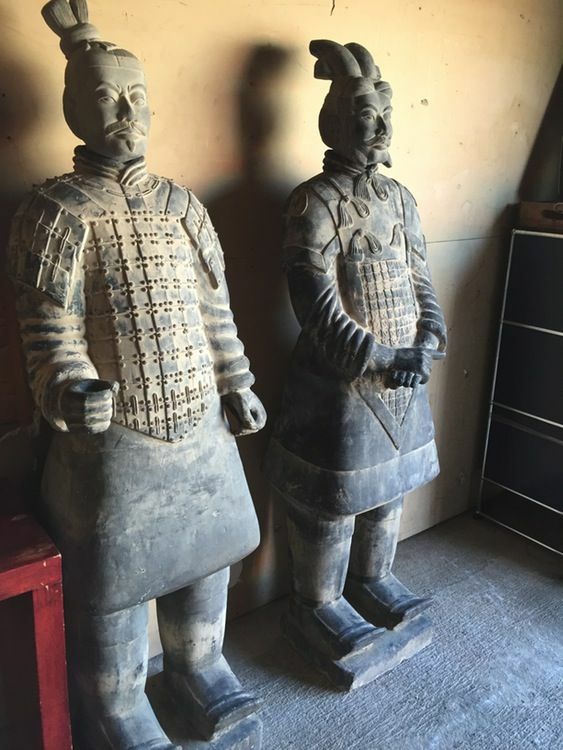 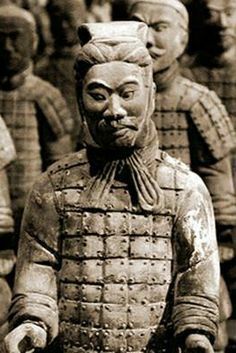 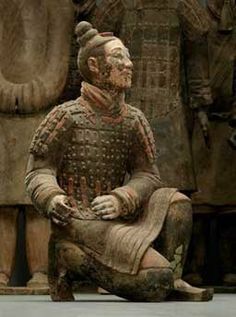 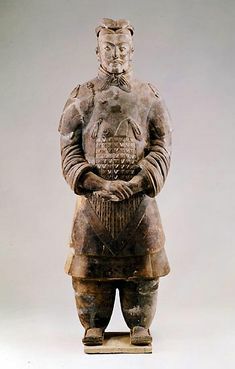 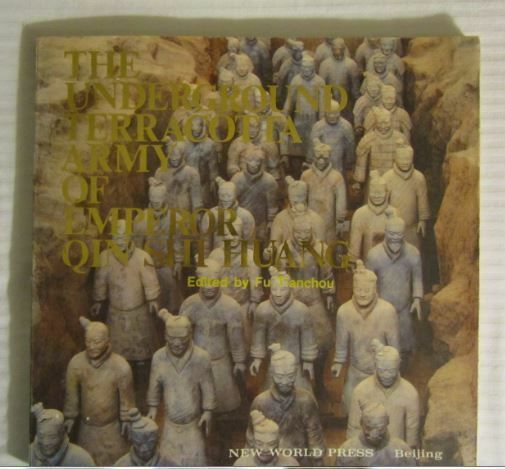 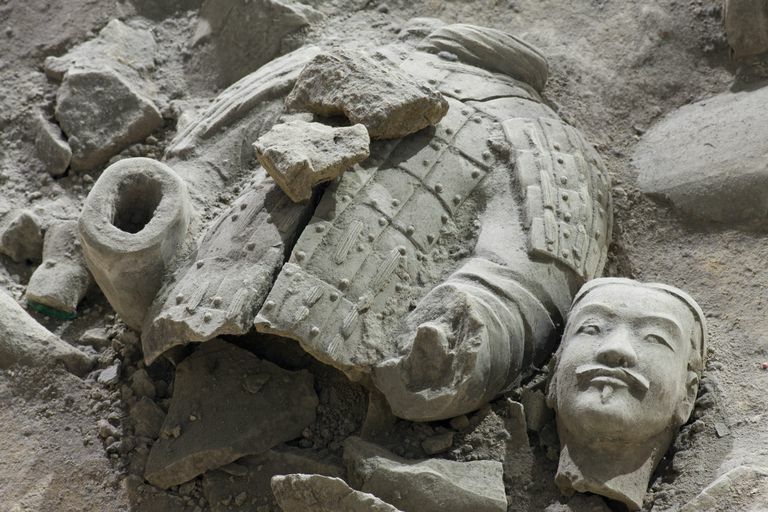 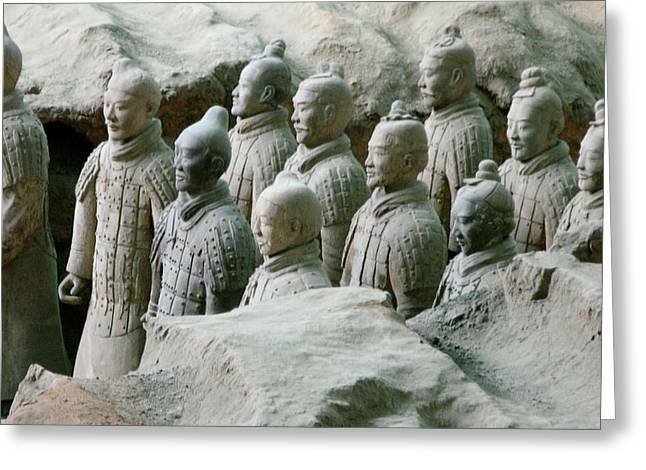 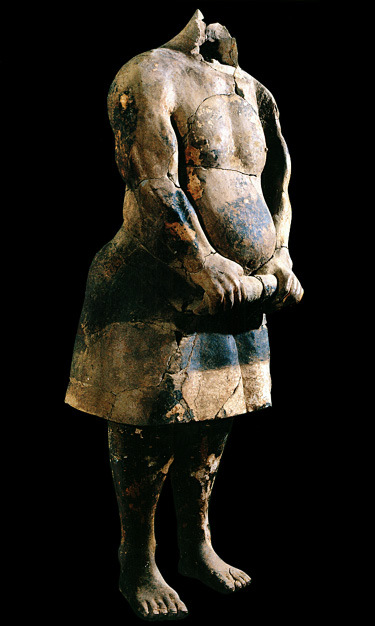 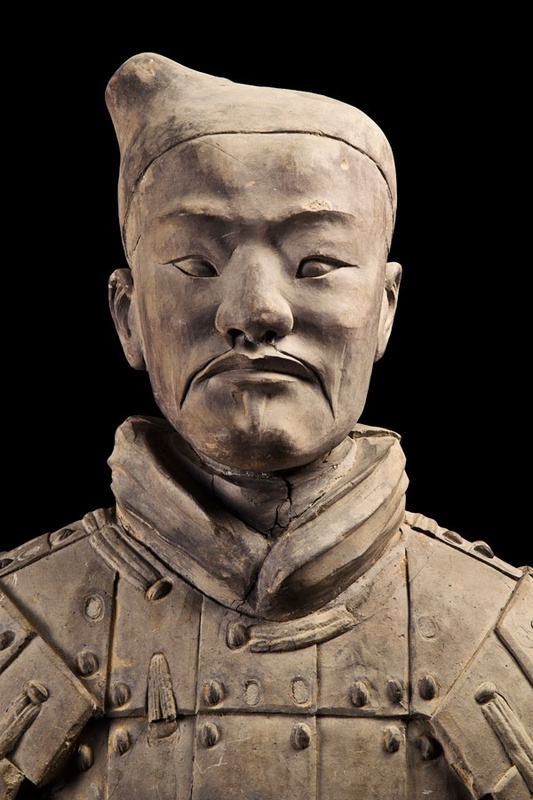 Terracotta Army from the tomb of the emperor Qin Shi Huang. 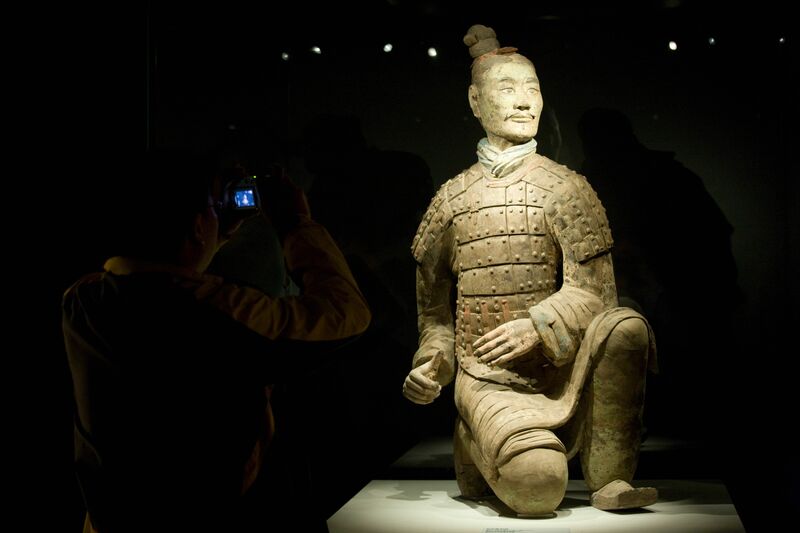 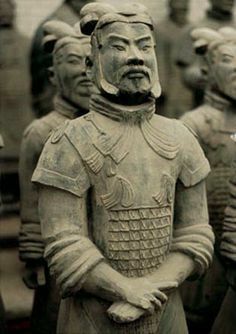 A terracotta warrior guards the tomb of Emperor Qin Shi Huang in Xi'an, China. 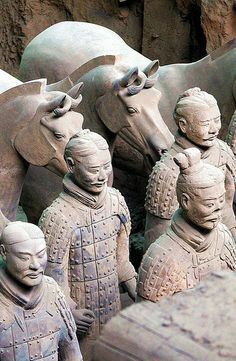 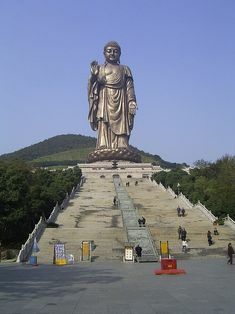 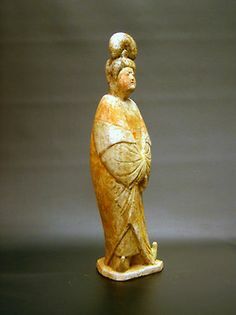 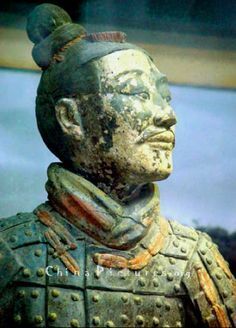 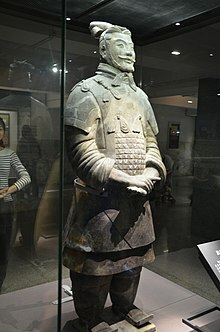 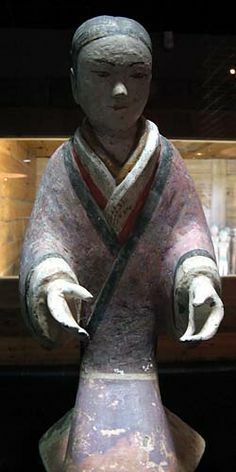 The Terracotta Army bprotecting Qin Shi Huang's tomb, dating from 210-209 BC. 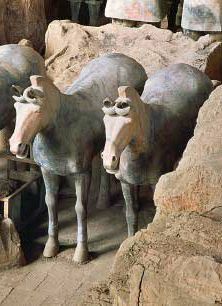 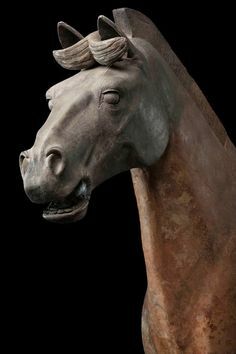 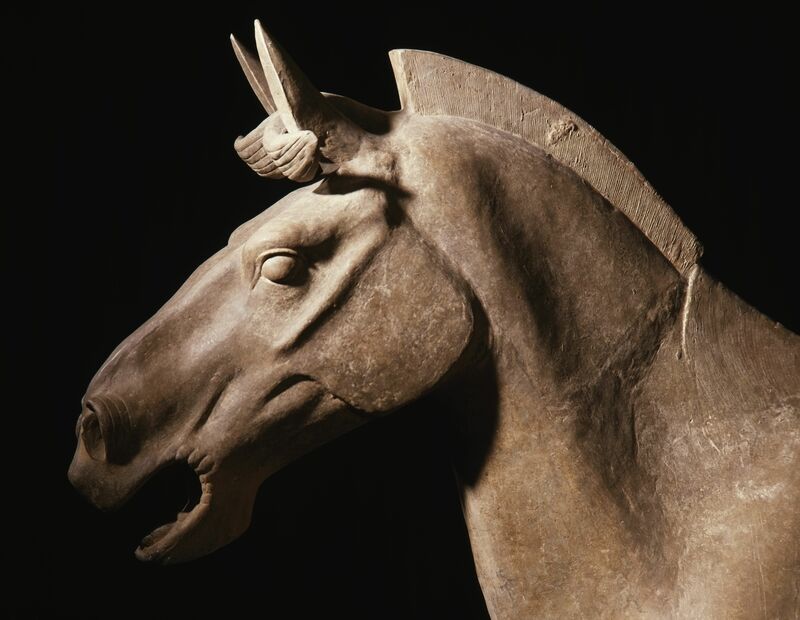 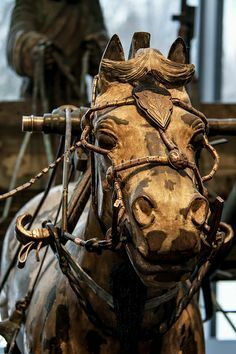 Terracotta Horse from the tomb of Qin Shi Huang, the first Emperor of China. 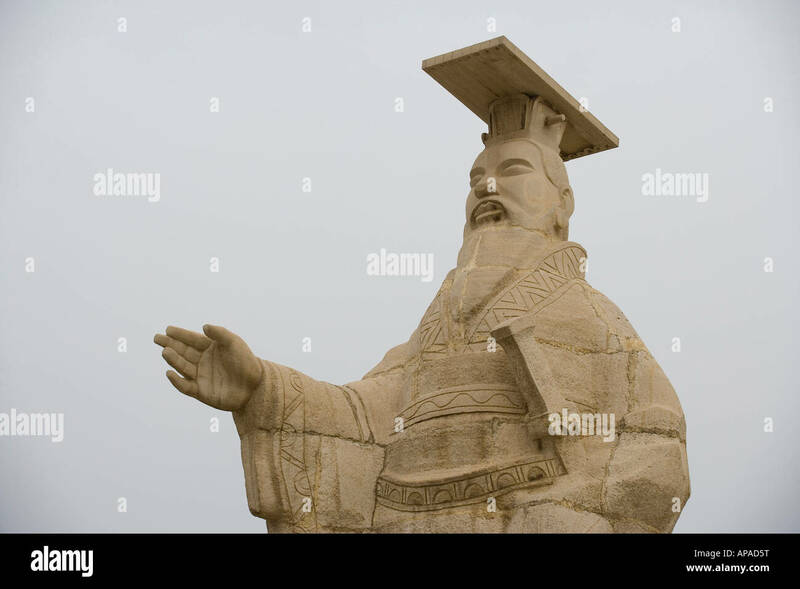 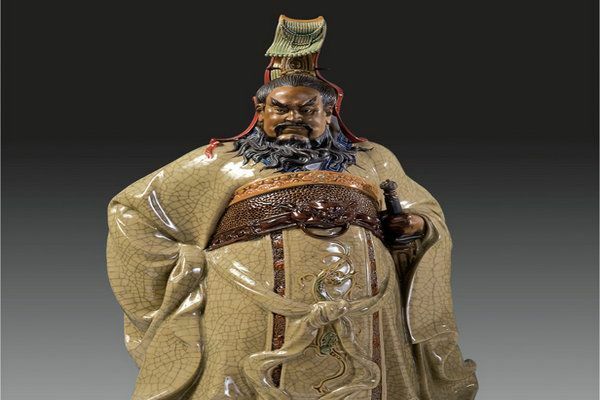 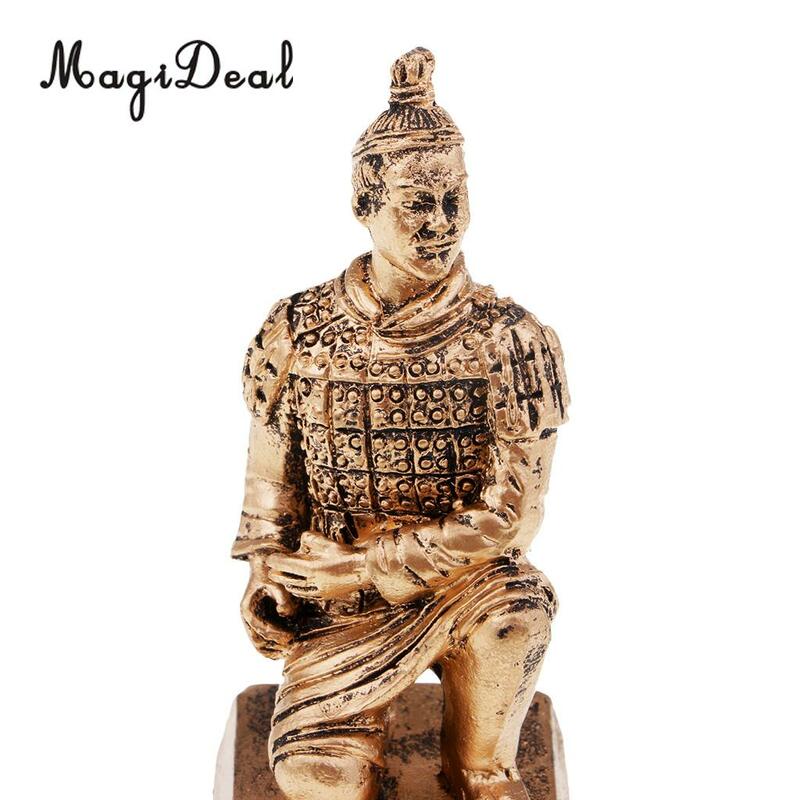 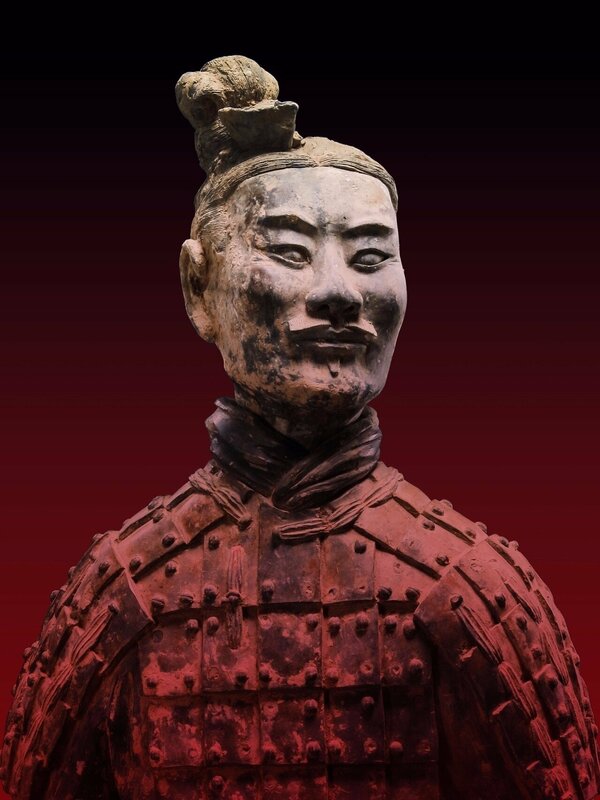 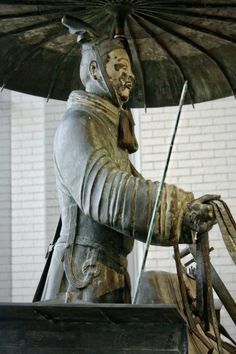 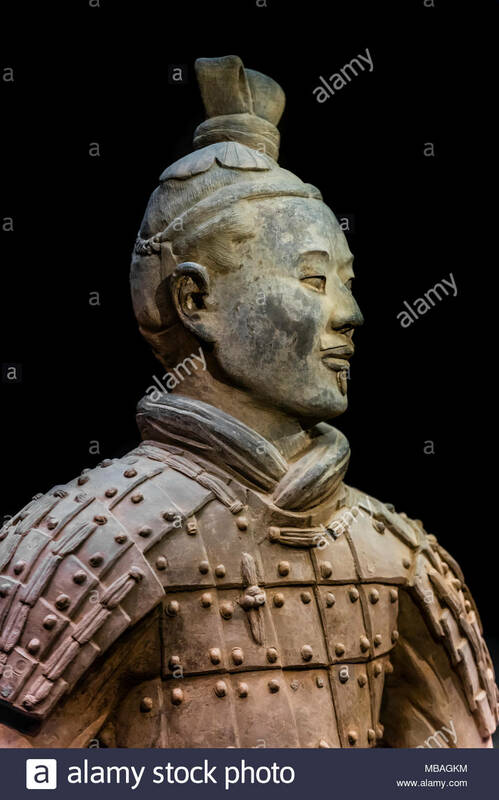 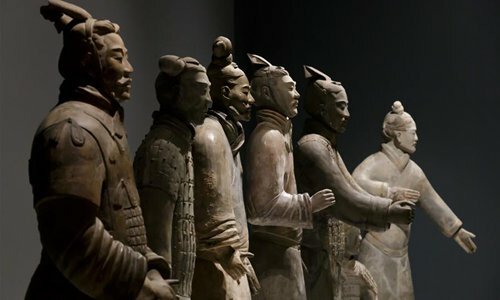 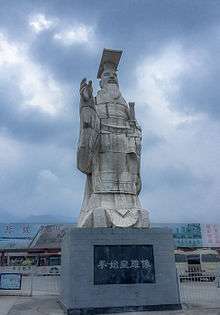 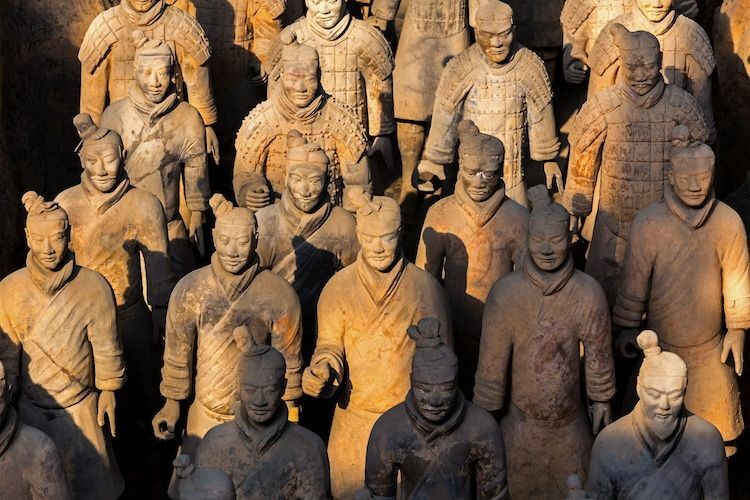 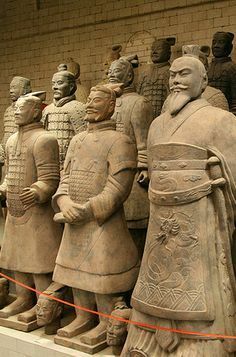 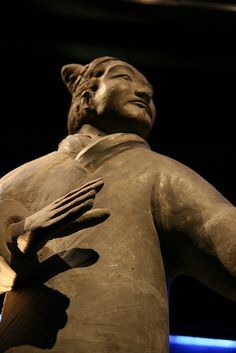 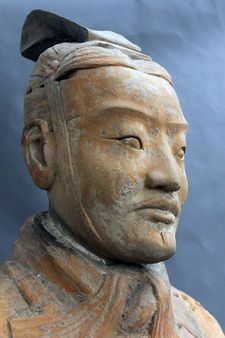 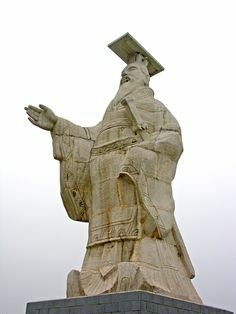 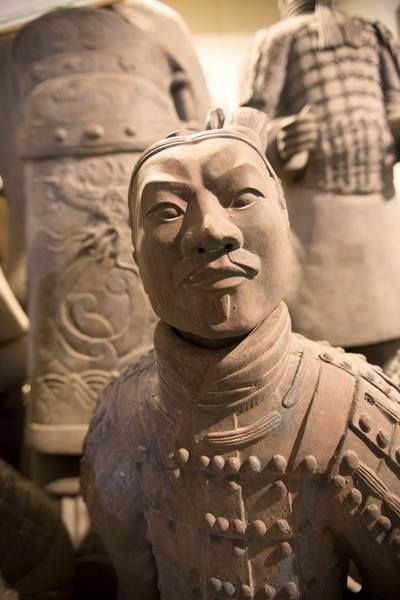 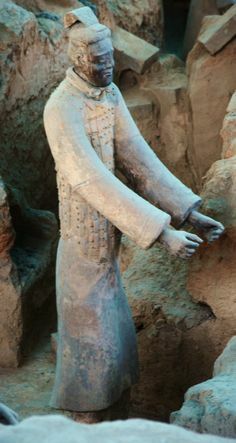 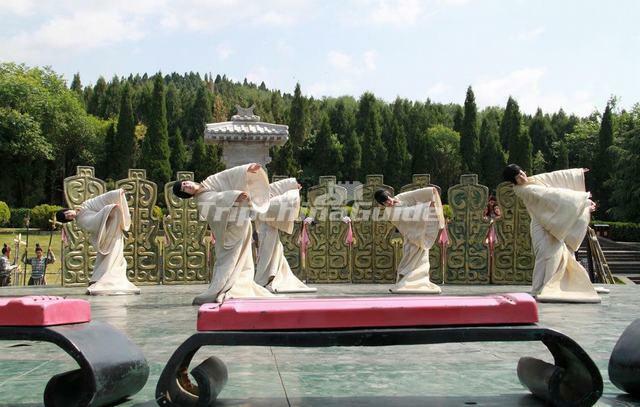 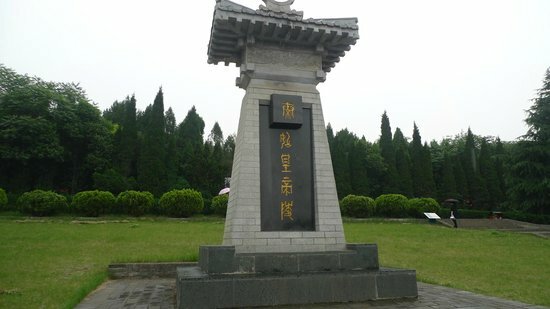 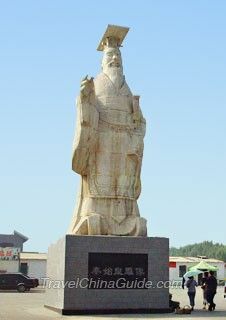 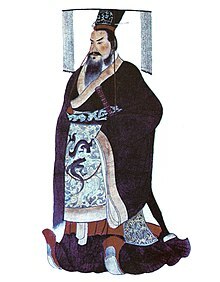 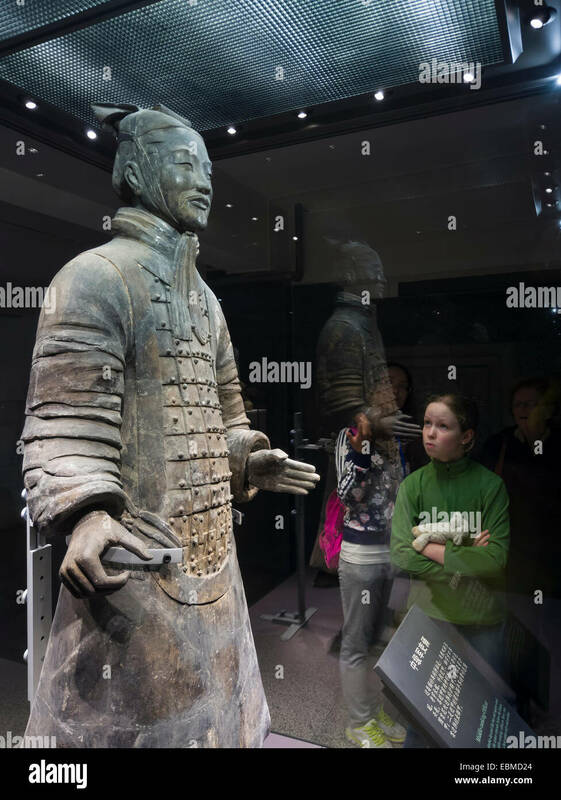 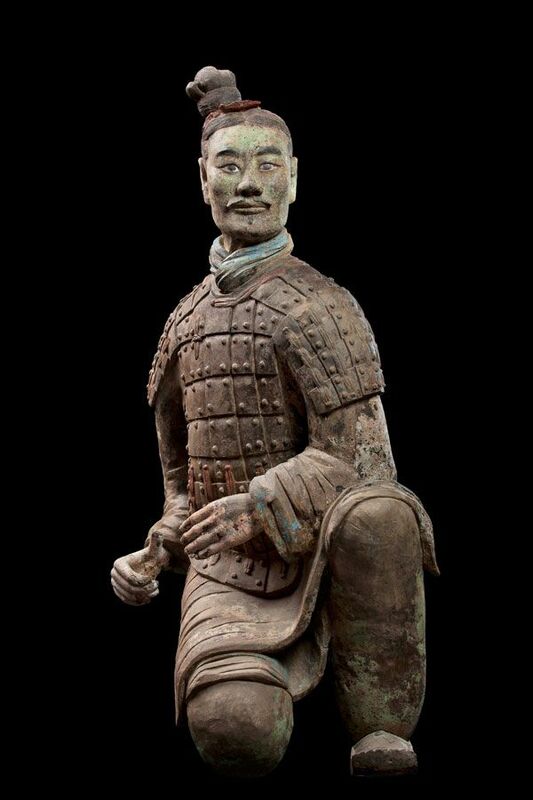 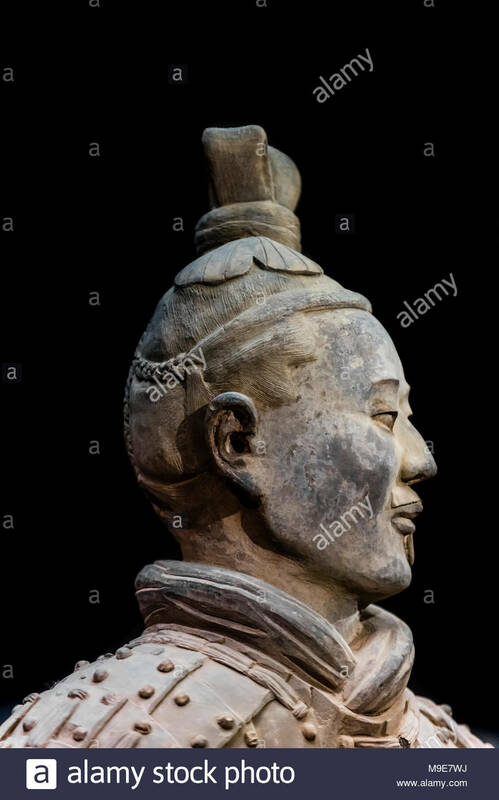 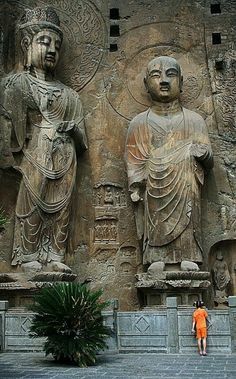 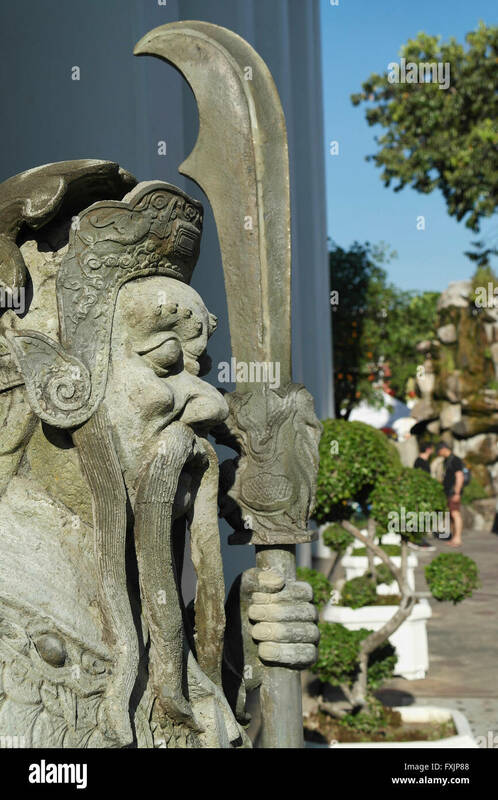 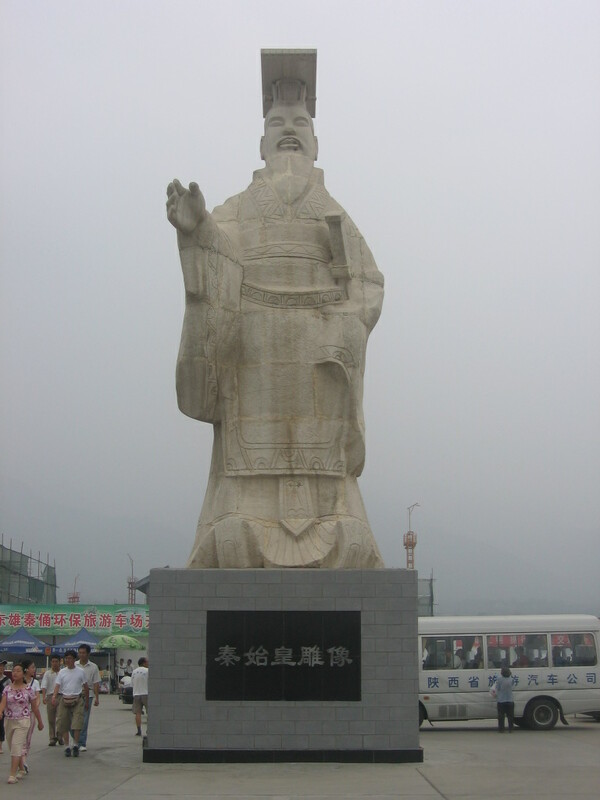 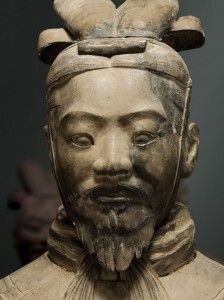 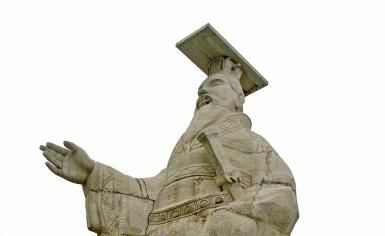 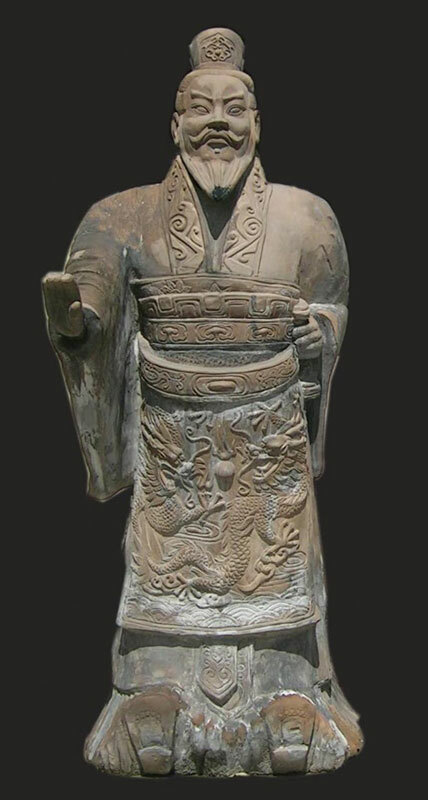 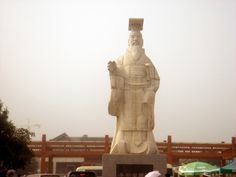 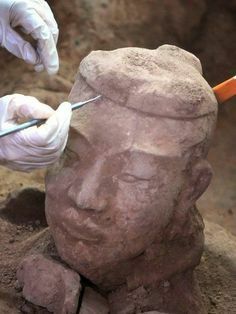 terracotta warriors famous sculptures -- his collection of sculptures in Xi'an, China depicts the army of Qin Shi Huang, the first Emperor of China. 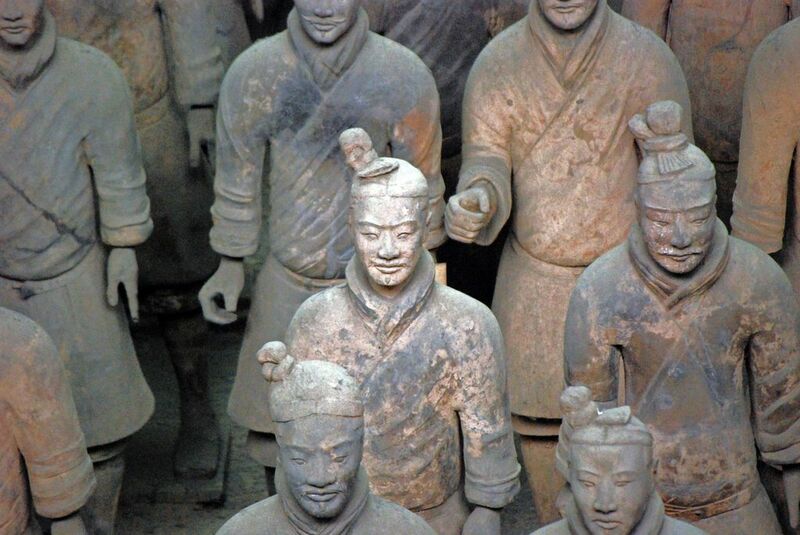 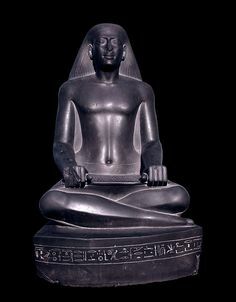 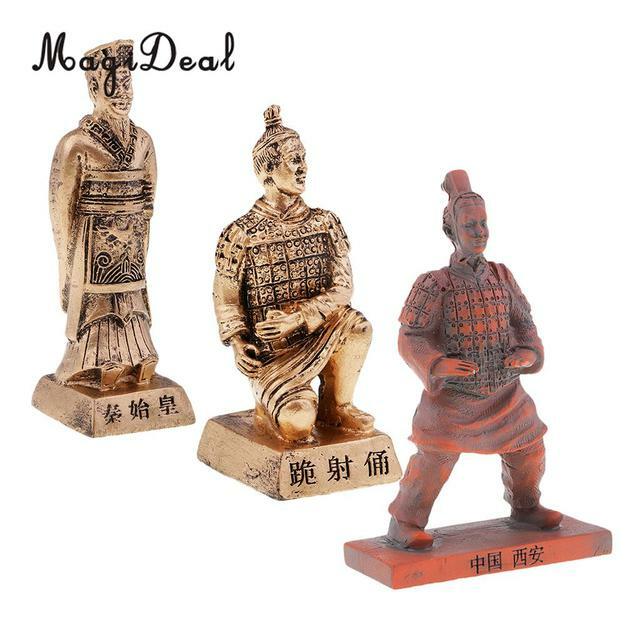 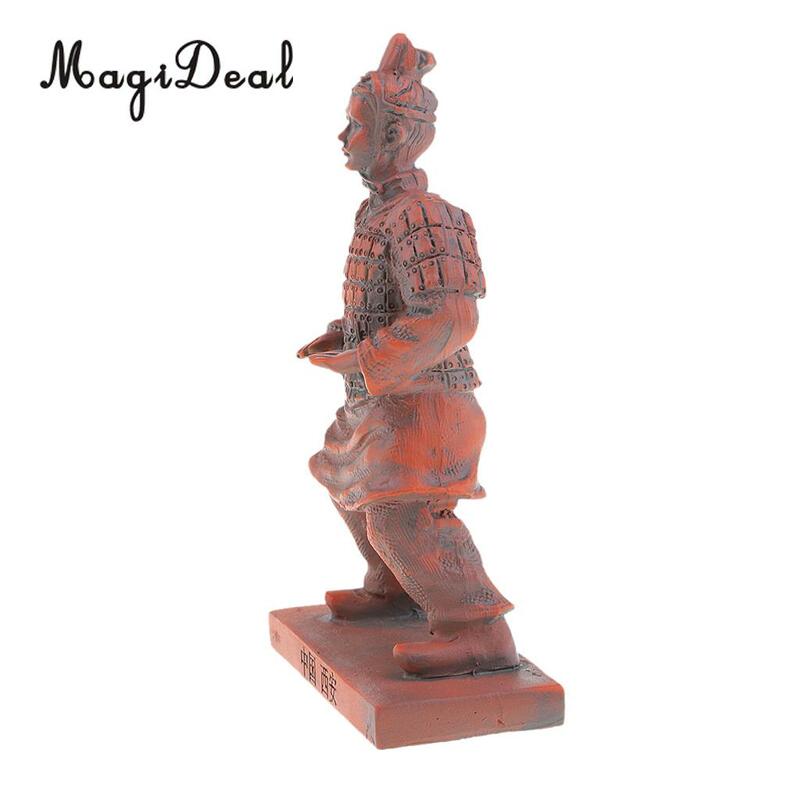 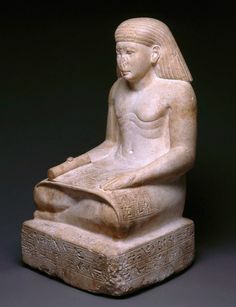 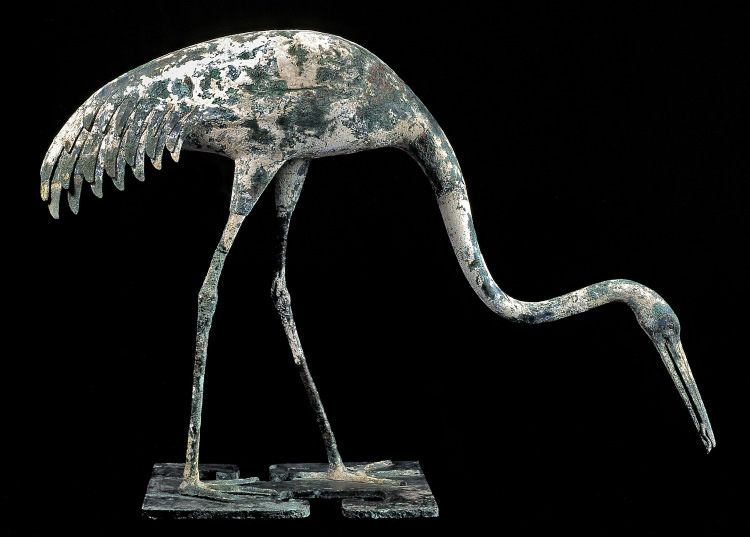 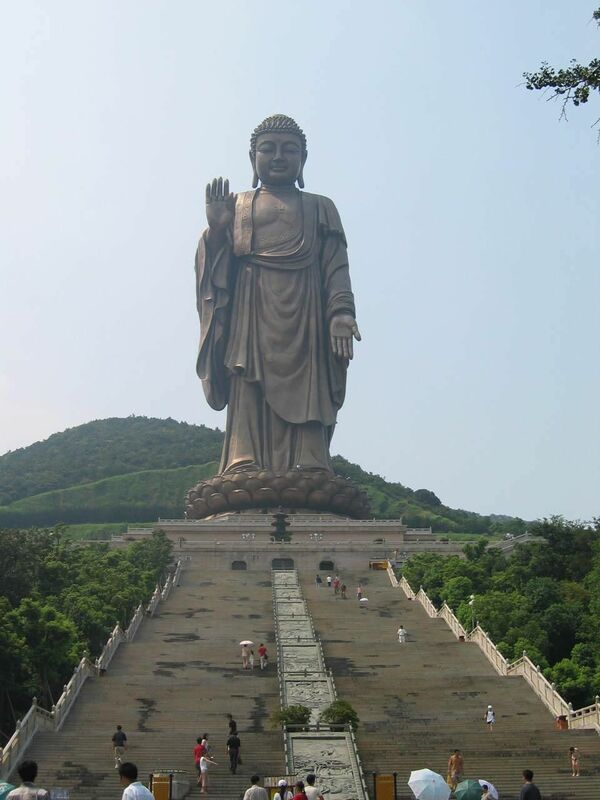 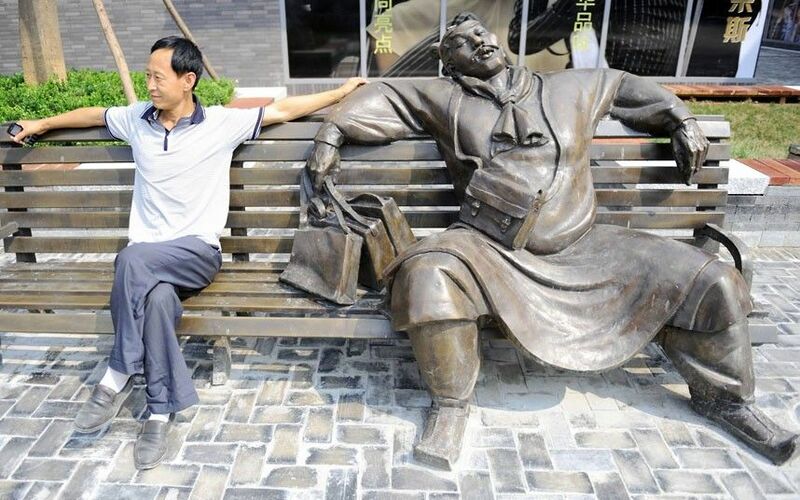 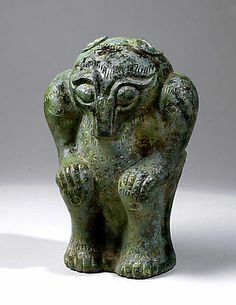 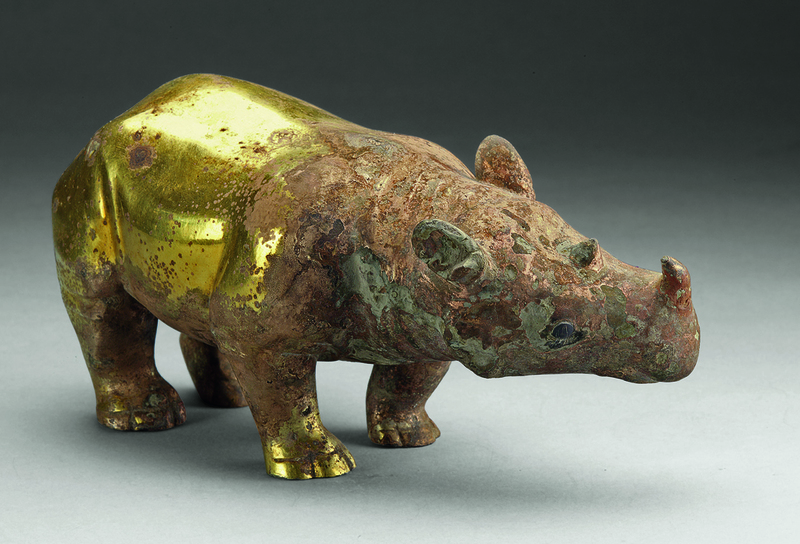 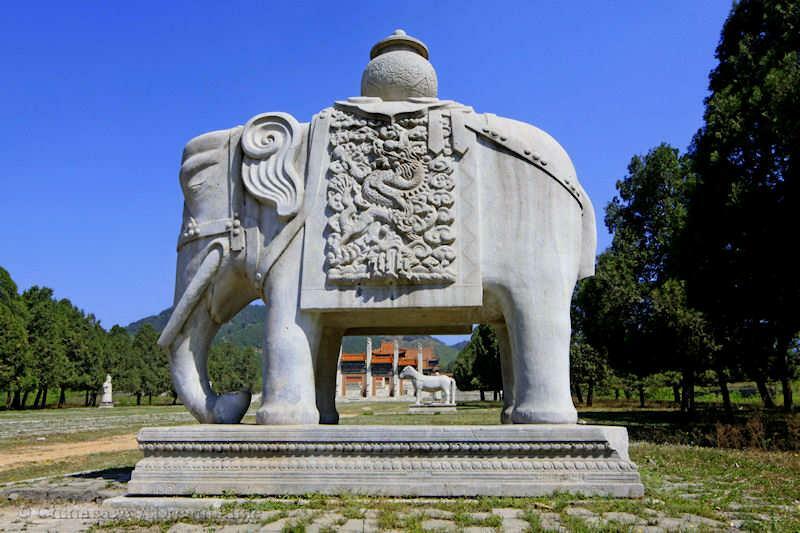 Today only a handful of statues contain small amounts of paint. 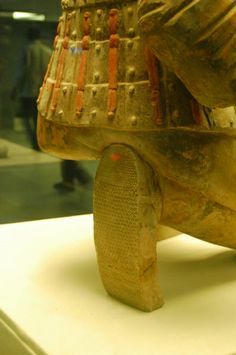 Also notice the detail put into the soles of the warrior's shoes.